The primary purpose of an anesthesia machine and system is to deliver an inhaled (gas) that is anesthetic, to animals, in order to keep them insensible throughout the surgery or treatment. It is necessary to induce sleep and prevent discomfort to animals during potentially painful manipulations. Numerous types of veterinary anesthesia machines are available in the market, ranging from obsolescent to the most modern. It has become vital for the veterinary surgeons to wisely evaluate their anesthesia equipment to ensure maximized safety for the animals. Control of the concentration of anesthetic to the animal is dependent on dilution with gases supplied from the machine; gases such as oxygen and nitrogen, from the vaporizer's flowmeter. During the delivery of the drug into the animal’s body, oxygen flows through the vaporizer and picks up the anesthetic gasses. The key players are striving to provide aesthetic equipment and extraordinary customer service to the veterinary profession. The main motive behind anesthesia is to induce lack of movement in animals as they tend to be non-corporative during diagnostics, which ultimately blunts the stress response of animals. Advancements in veterinary diagnostics such as portable wireless devices that comprise information systems and digital monitors, is a major factor driving the demand for such machines. The cost of products is currently notably high, attributed to the incorporation of advanced technology for sophisticated treatments. This factor is hampering the proliferation of Veterinary Anesthesia Machines Market. However, China is emerging as a potential region, primarily striving to bring in cheaper equipments, which is opening up new opportunities for entrants who want to establish themselves in global market. 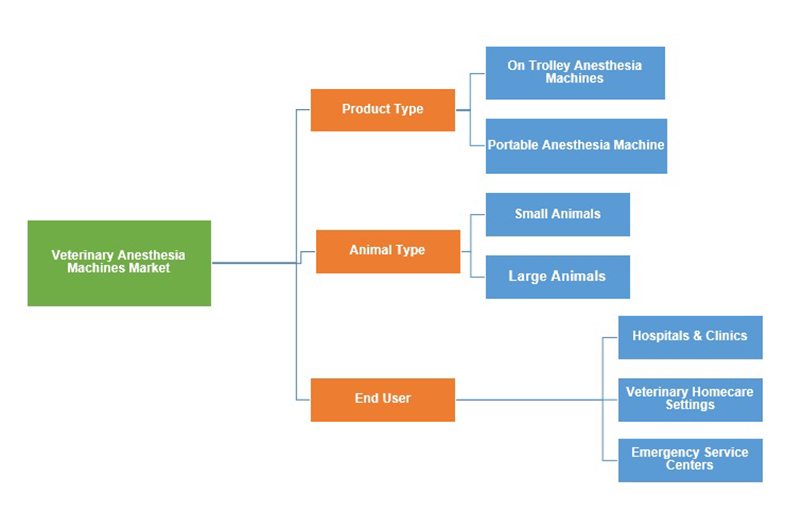 Global Veterinary Anesthesia Machines Market is expected to grow with a CAGR of 5.8% during the forecast period of 2018 to 2026. 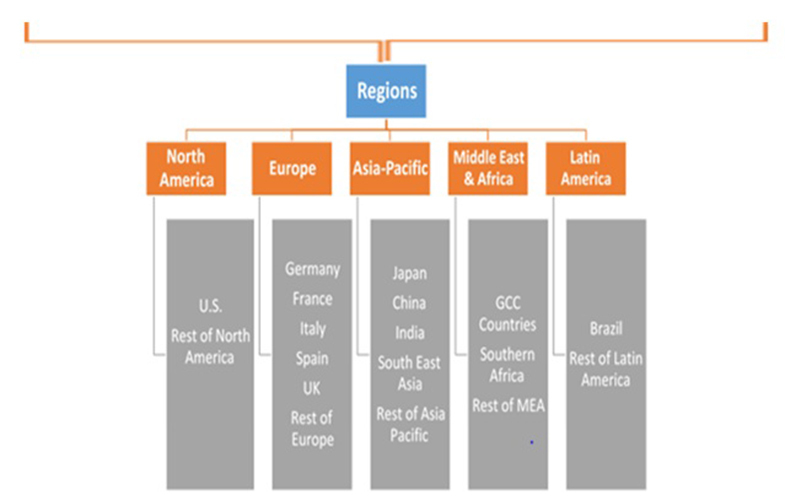 The study analyzes the market in terms of revenue and sales volume across all the major markets. The demand for veterinary anesthesia is paving new road across hospitals and private clinics. There is an increase in trend for adopting pets in the modern society, which has resulted in a growth for high-end animal healthcare. Consumers’ requirement for more advanced solutions for their pets is leading to increase in adoption of these machines. North America has demonstrated a high demand for animal care such as grooming, dental care, vaccination, and a very high level of pet care expenditure. Asia Pacific is also a growing market as the developing countries such as India and China are witnessing a rise in disposable income and the projections made statistically support that the market is expected to grow in the forthcoming years. The report provides both, qualitative and quantitative research of the market, as well as provides worthy insights into the rational scenario and favored development methods adopted by the key contenders. The report also offers extensive research on the key players in this market and detailed insights on the competitiveness of these players. The key business strategies such as mergers and acquisitions (M&A), affiliations, collaborations, and contracts adopted by the major players are also recognized and analyzed in the report. For each company, the report recognizes their manufacturing base, competitors, product type, application and specification, pricing, and gross margin. The primary market participants include Mindray Medical International Limited, Beijing Yi Shiheng electronic technology co., LTD, Midmark Corporation, Kent Scientific Corporation, Everest Veterinary Technology, Smiths Medical, Supera Innovations, Vetronic Services Ltd, Patterson Scientific, Synthomer plc., JD Medical Dist. Co., Inc., Kent Scientific Corporation, Hallowell Engineering & Manufacturing Corporation, and Supera Anesthesia Innovations among others. At Absolute Markets Insights, we are engaged in building both global as well as country specific reports. As a result, the approach taken for deriving the estimation and forecast for a specific country is a bit unique and different in comparison to the global research studies. In this case, we not only study the concerned market factors & trends prevailing in a particular country (from secondary research) but we also tend to calculate the actual market size & forecast from the revenue generated from the market participants involved in manufacturing or distributing the any concerned product. These companies can also be service providers. For analyzing any country specifically, we do consider the growth factors prevailing under the states/cities/county for the same. For instance, if we are analyzing an industry specific to United States, we primarily need to study about the states present under the same(where the product/service has the highest growth). Similar analysis will be followed by other countries. Our scope of the report changes with different markets. Our research study is mainly implement through a mix of both secondary and primary research. Various sources such as industry magazines, trade journals, and government websites and trade associations are reviewed for gathering precise data. Primary interviews  are conducted to validate the market size derived from secondary research. Industry experts, major manufacturers and distributors are contacted for further validation purpose on the current market penetration and growth trends.